Khabib Nurmagomedov has called out Floyd Mayweather in the hope he can do what Conor McGregor failed to do, saying "in the jungle there is only one king". 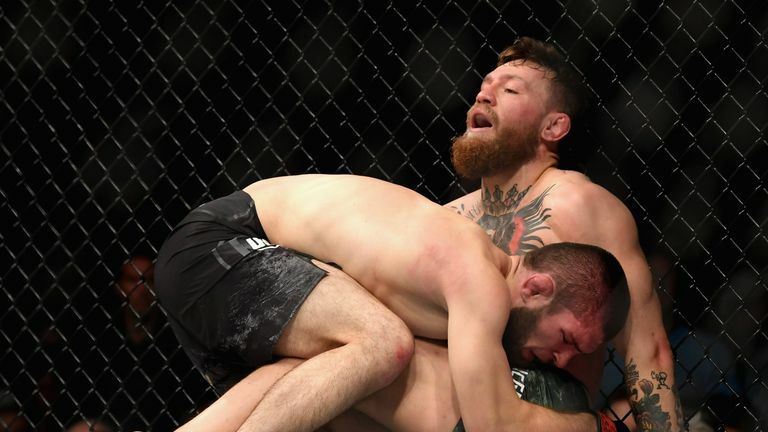 The Russian fighter beat McGregor by tap-out, extending his MMA record to 27-0, but his future with UFC looks uncertain after he jumped out the ring and attacked the Irishman's camp in the aftermath of their clash. Mayweather, who has a 50-0 record in boxing, stopped McGregor in the 10th round of their 2017 bout in Las Vegas and has announced he will return to the ring to fight former foe Manny Pacquiao before the year is out. However, Nurmagomedov, who is entertaining offers from rapper 50 Cent to join rival MMA promotion Bellator and the WWE, has offered up 'Money Mayweather'. "Let's go, Floyd, we have to fight now," said Nurmagomedov, in an Instagram video filmed with Leonard Ellerbe, the chief executive of Mayweather Promotions. "50-0 v 27-0, two guys who never lose, why not? Because in the jungle there is only one king." "Of course I am the king because he could not drop McGregor and I dropped him easily."